Comfort Inn Santa Cruz is located on Plymouth Street just south of the Highway 1 and Highway 17 junction. Our centralized location to downtown Santa Cruz makes our hotel the ideal choice for those visiting for business or leisure. Top Santa Cruz restaurants, shopping, and the Santa Cruz Beach Boardwalk are all within walking distance or a short drive from our hotel. 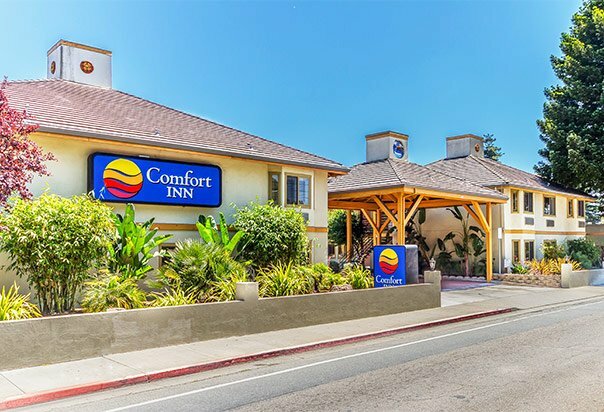 Comfort inn invites you to the sunny coastal city of Santa Cruz. If you are visiting Santa Cruz, California for business or a family vacation, we want to ensure that your stay with us will mimic the same comforts you have at home. Our guest can use our complimentary wireless internet to finish up that important business project or stream their favorite TV show or movie. Those that want to print out directions to their favorite Santa Cruz restaurant can do so by using our complimentary business center. Santa Cruz is known for its beautiful weather and walkability thus our registered guests are provided free parking at our hotel throughout their stay. After spending a long day exploring the various attractions Santa Cruz has to offer, our guest can relax and lounge by our outdoor pool and spa. Every morning, our guest can start with our signature complimentary hot breakfast. Santa Cruz often gets overlooked as a major tourist destination due to being in close proximity to major cities like San Francisco and San Jose. Santa Cruz is a quaint coastal beach town located a short drive from Monterey, San Francisco, and San Jose and is well known for its beaches, surfing, golfing, restaurants, and shopping. Santa Cruz Beach Boardwalk and its rides is a popular attraction for all ages. 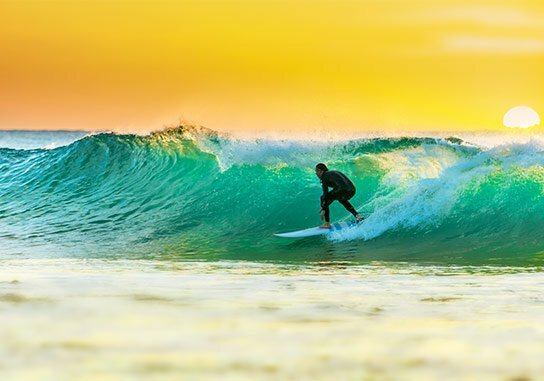 Those looking to catch a few waves can do so at the 29 miles of beaches in Santa Cruz; in addition, volleyball, hiking, and picnics are popular items to do for tourists. Santa Cruz Wharf is known for fishing, boat tours, popular restaurants, and small gift shops; in addition, surfing enthusiasts can spend a day learning about the history of surfing at the Santa Cruz Surf Museum. There is plenty to do while visiting Santa Cruz and our hotels close proximity to all of these attractions makes our Santa Cruz hotel the ideal place to stay. 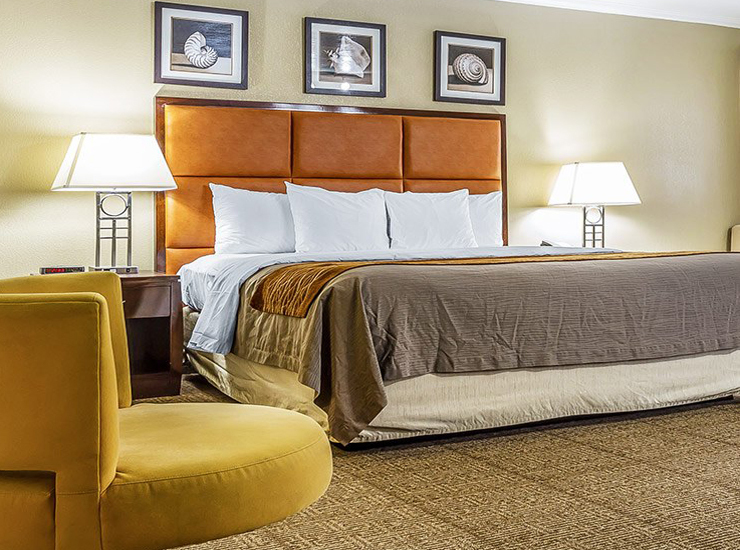 The Comfort Inn Santa Cruz offers 64 spacious standard guest rooms and suites with plush bedding. Traveling can be stressful thus we provide various amenities that help reduce this stress; for example, complimentary hot breakfast, parking, outdoor heated pool and spa, and wireless internet throughout the hotel. Let us host you on your trip to the coastal town of Santa Cruz. 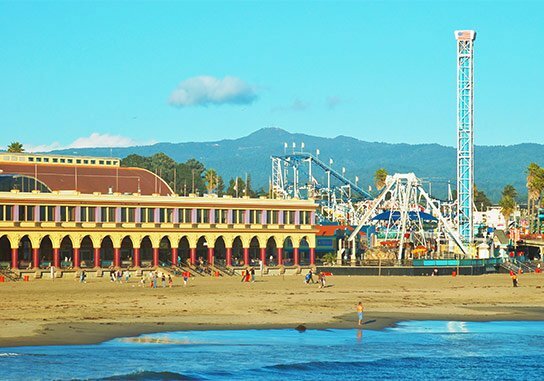 Enjoy Santa Cruz's oceanfront amusement park. Santa Cruz is a popular spot for surfers from all over the world. 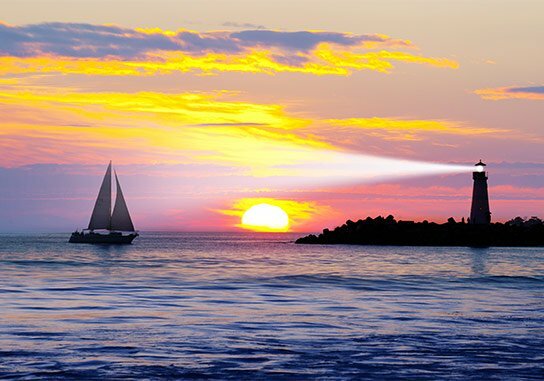 Enjoy the sunset reflecting off the Pacific Ocean while sitting next to the lighthouse.